Join St Martin’s Voices in this joyful celebration of family carols for Christmas. Carols for choir and audience include Away in a Manger, We three Kings, and Little Donkey as well as entertaining solos by the choir including The Virgin Mary had a baby boy and Go tell it on the mountain. Fun for all the family! St Martin’s Voices is a new and exciting vocal ensemble of St Martin-in-the-Fields. 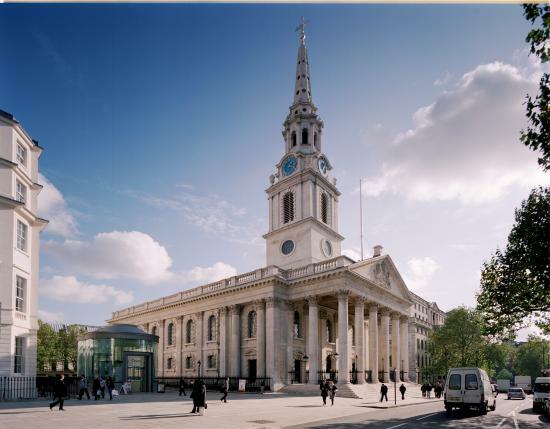 The professional choir is primarily made up of talented past and present choral scholars who come together to sing world-class concerts and special services at St Martin-in-the-Fields and beyond. In their opening season, St Martin’s Voices performed the World Première of The Lantern Carols by Sasha Johnson Manning and Sharon Grenham-Toze. In January 2014, they performed Annelies: A Choral Setting of the Diary of Anne Frank by James Whitbourn for Holocaust Memorial Day. Recent St Martin’s Voices concerts include A Celebration of William Lloyd Webber, with renowned cellist Julian Lloyd Webber, and If Music be the Food of Love: A concert to mark the 450th anniversary of the birth of William Shakespeare. St Martin’s Voices have recently broadcast Sunday Worship and Daily Service on BBC Radio 4, as well as recorded Christmas in Blue, a CD of jazz carols arranged by the celebrated composer Will Todd. As well as their extensive concert programme, St Martin’s Voices explore the great classical music of our religious heritage at Great Sacred Music every Thursday at 1pm.